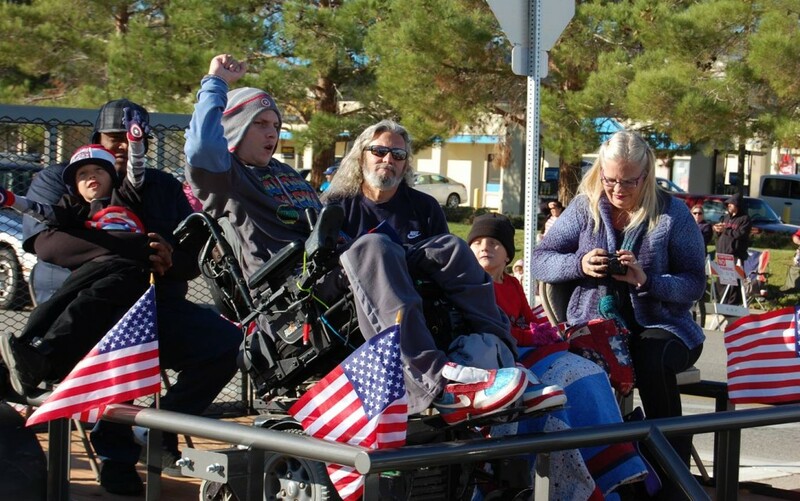 Parade Grand Marshal Jerral Hancock and his family. 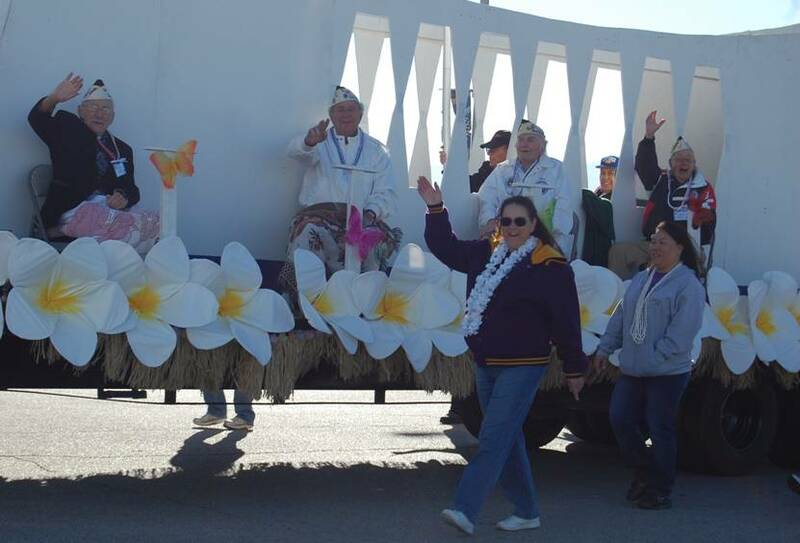 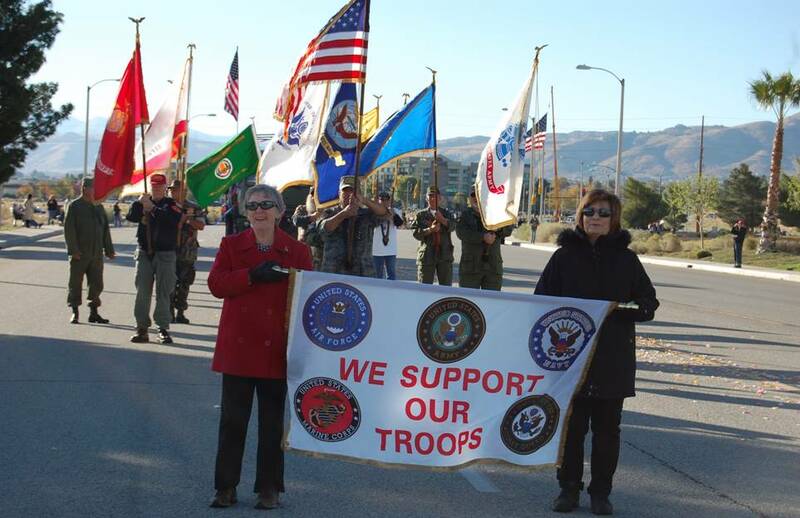 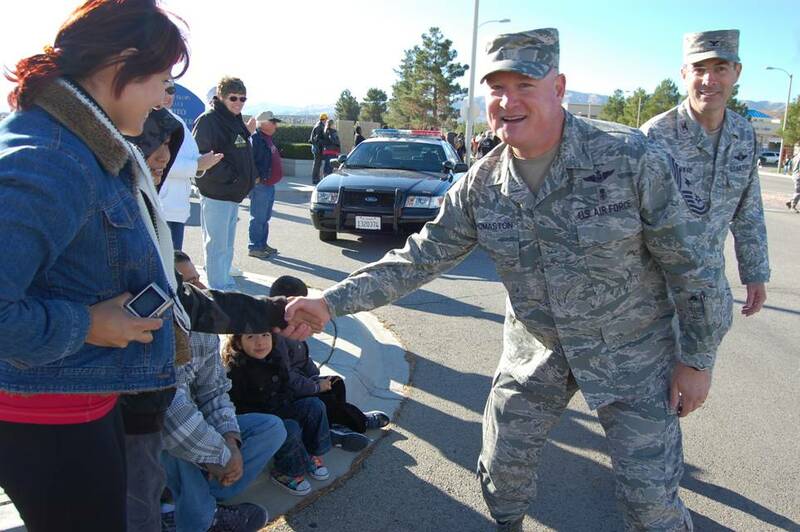 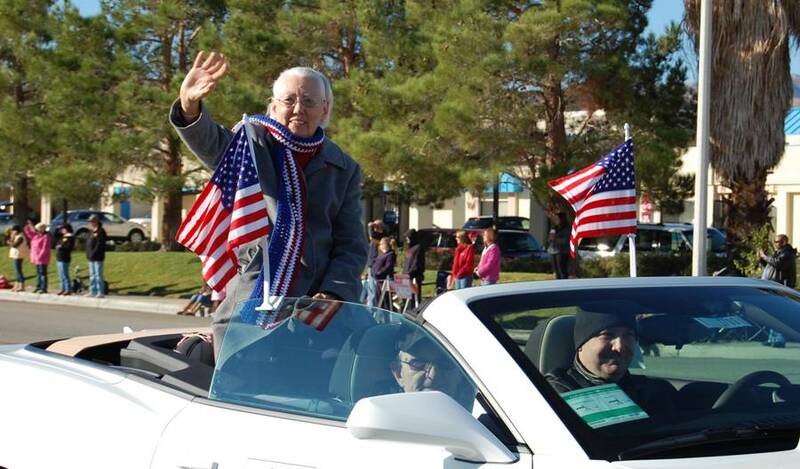 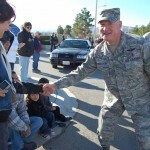 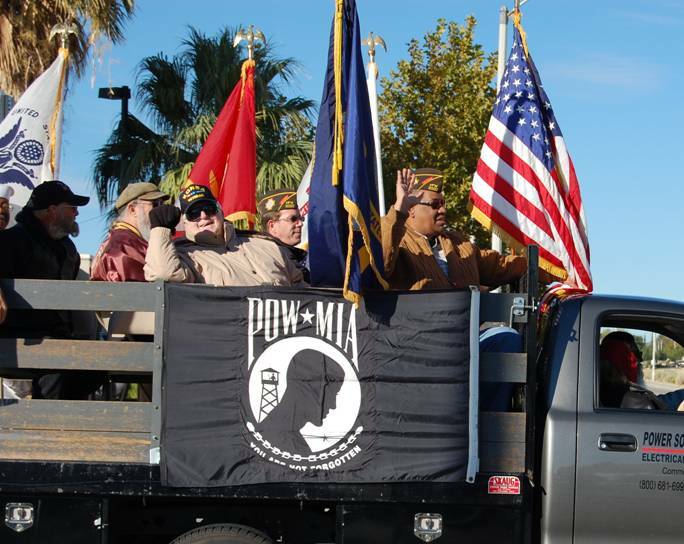 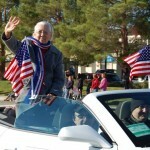 PALMDALE – Veterans’ organizations, public safety agencies, civic groups, high school marching bands, and local politicians were among the 84 entries that took part in the Antelope Valley Veterans’ Day Parade 2011, which took place in Palmdale Saturday. 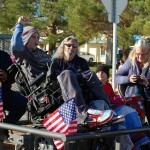 The grand marshals for the parade were Staff Sergeant Andrew A. Ramirez [read his story here] and Specialist Jerral Hancock [read his story here]. 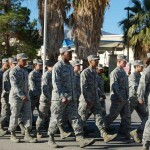 The parade kicked off around 9 a.m. with a flyover by two F-16 Fighter Jets from Edwards Air Force Base and continued until about 10 a.m. A lively crowd of spectators lined the parade route along 5th Street West (from Avenue Q to Technology Drive) waving, applauding, taking pictures and saluting as various branches of the military marched by. 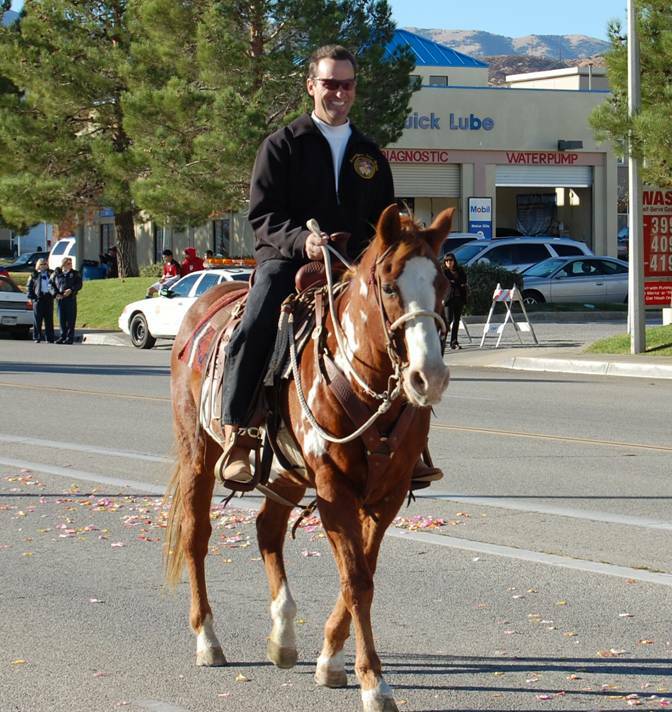 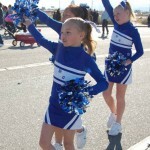 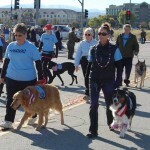 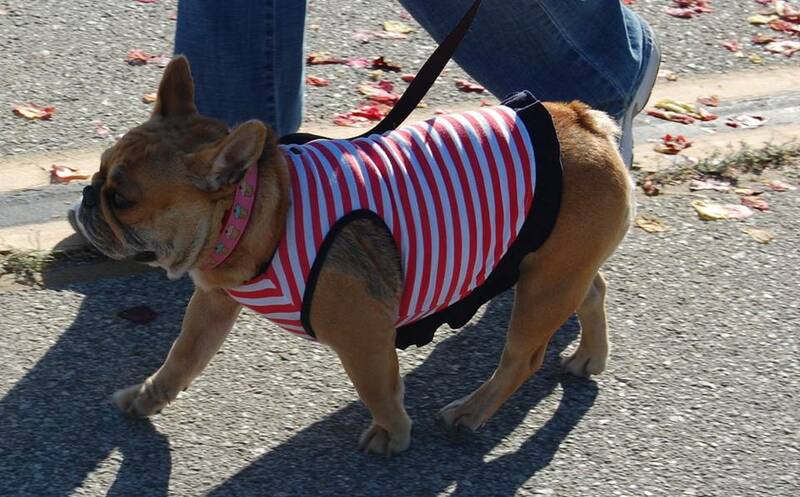 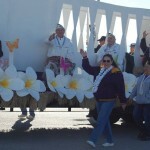 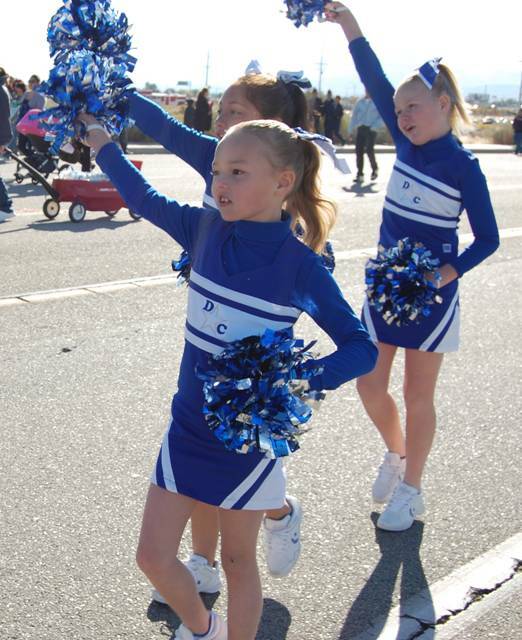 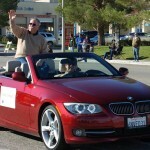 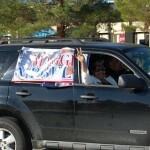 The following are some sights from the Antelope Valley Veterans’ Day Parade 2011. 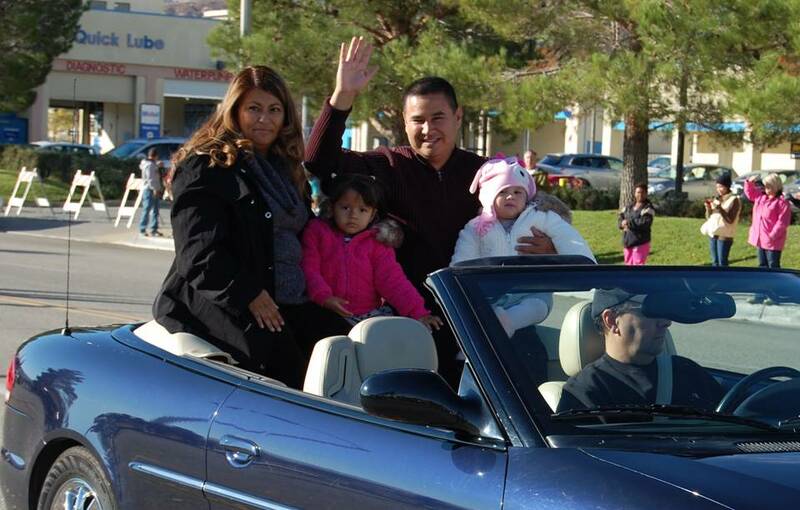 Parade Grand Marshal Andrew Ramirez and his family. 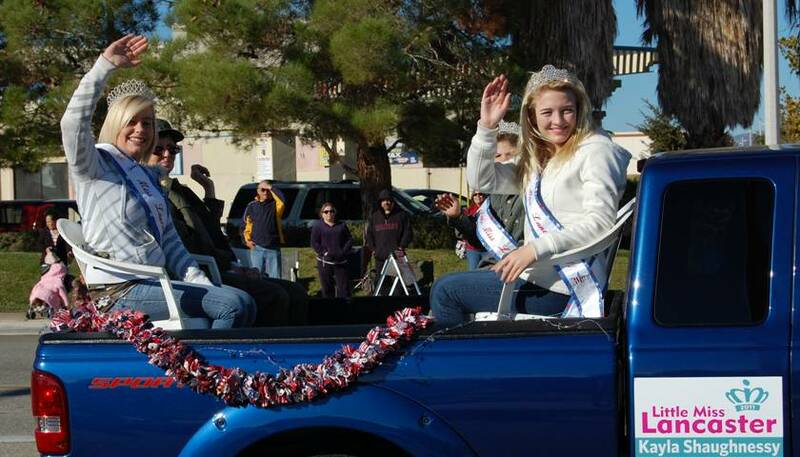 2011 Senior of the Year Ida Ketcum. 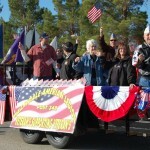 Palmdale American Legion Post 348. 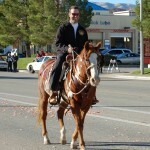 California State Assemblyman Steve Knight. 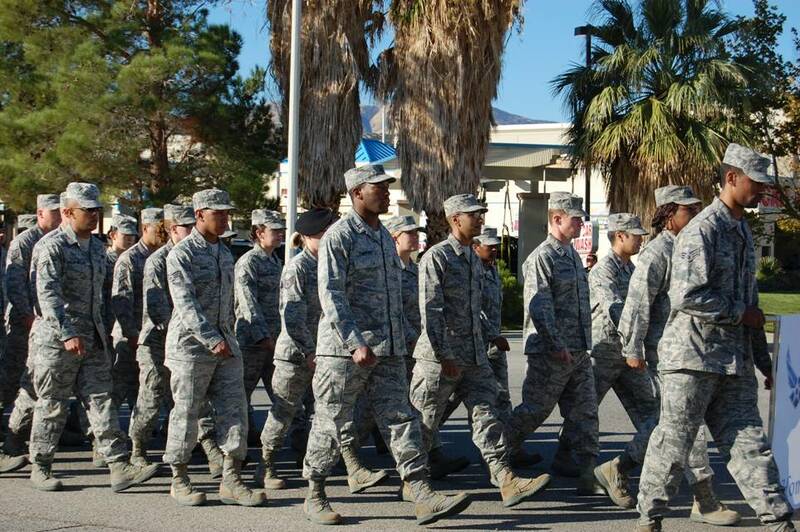 Service members from Edwards Airforce Base. 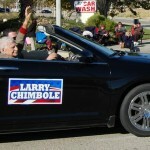 Palmdale’s first mayor Larry Chimbole. 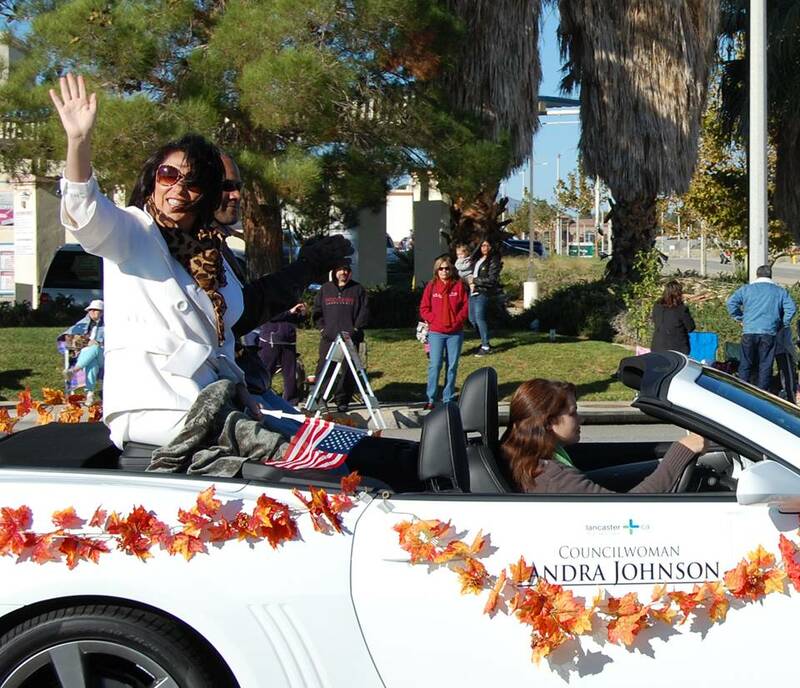 Lancaster Council Member Sandra Johnson. 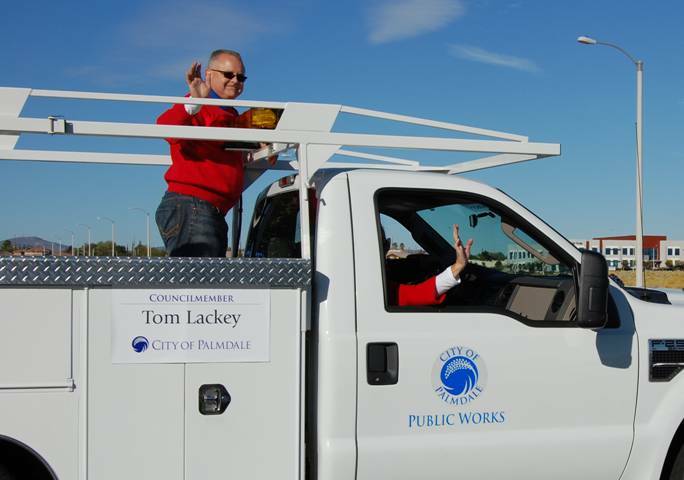 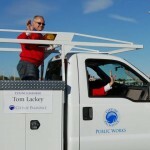 Palmdale Council Member Tom Lackey. 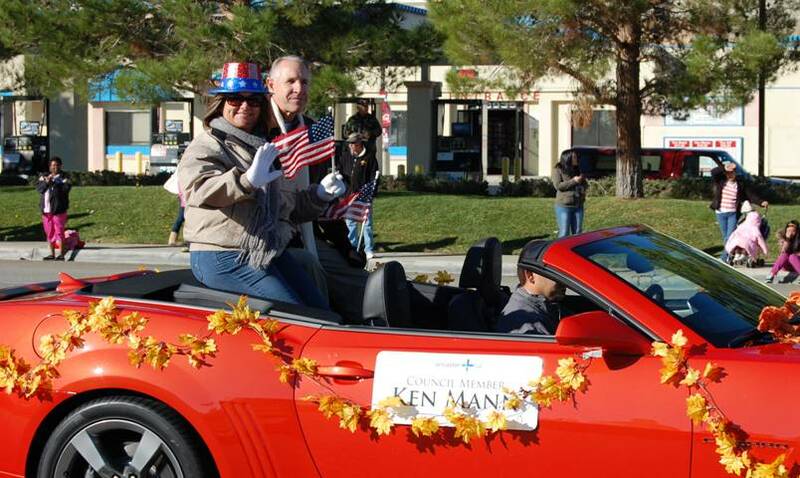 Lancaster Council Member Kenneth Mann. 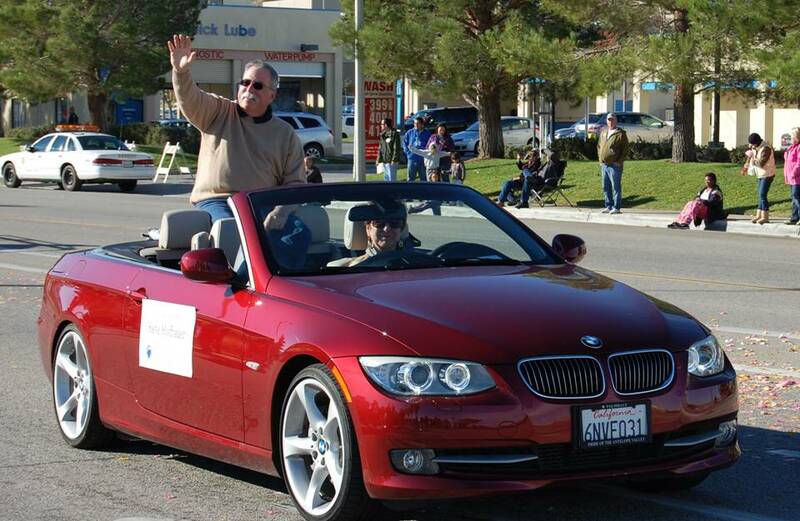 Palmdale Council Member Steve Hofbauer. 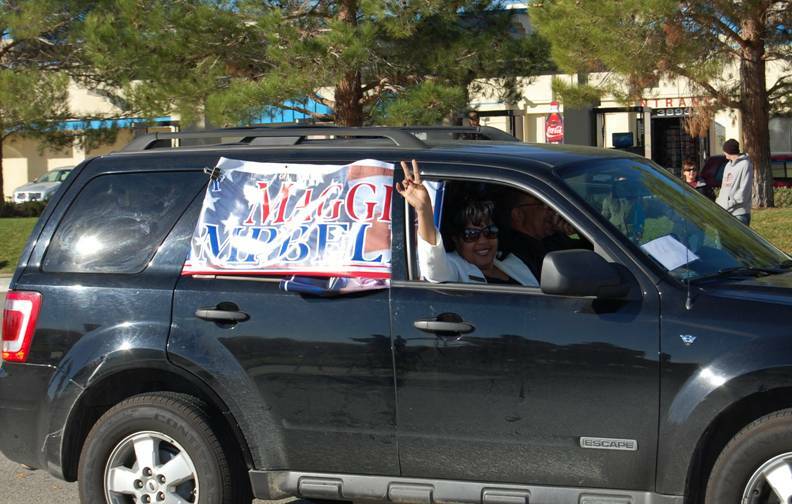 Navy veteran and Palmdale mayoral candidate Maggie Campbell. 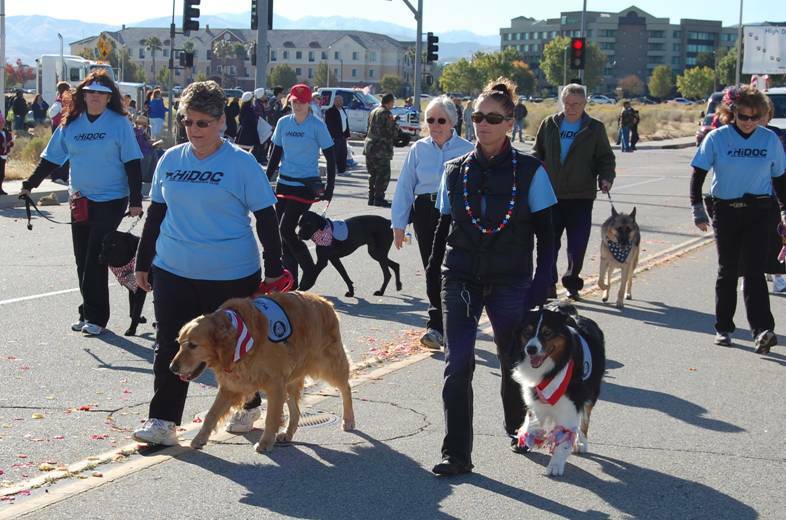 High Desert Canine Obedience Club. 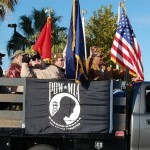 2 comments for "Honoring our Veterans: Sights from AV Veterans’ Day Parade 2011"
In my haste to deride Maggie, I lost sight of my original purpose. 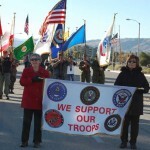 I support and salute our troops!!! 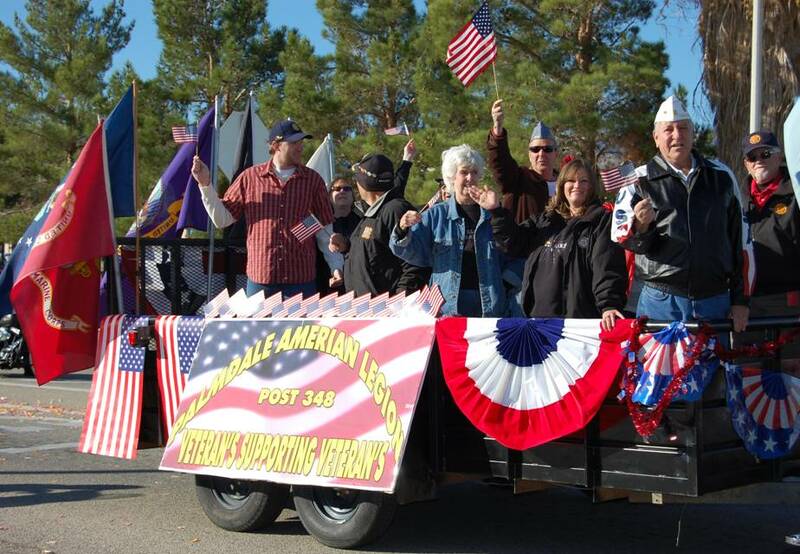 Great turnout by all the parade participants!! 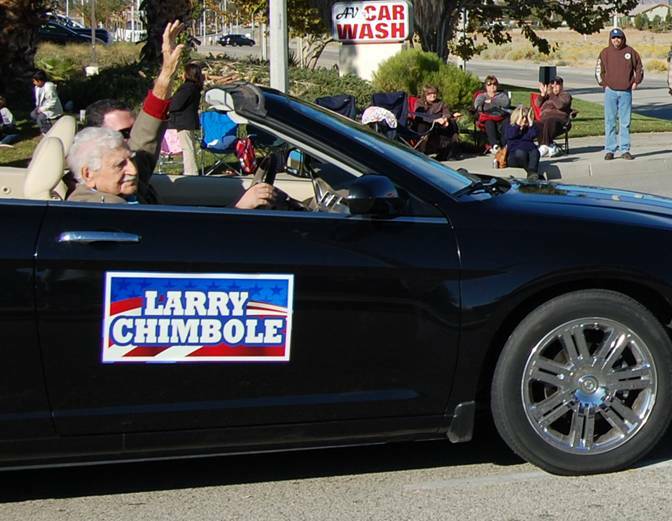 Maggie, would it have killed you to run that vehicle through a car wash before coming to the parade? 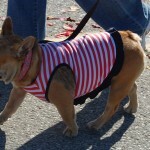 It’s all in the details Maggs!